Magdalena just finished her secondary school in Warsaw. 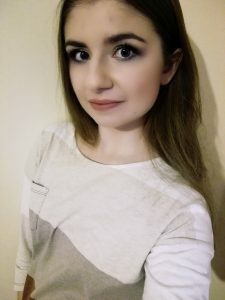 As she aims to pursue a career as a journalist, she has already participated in different workshops and projects in the field: She got engaged in two editions with survivors of concentration camps and soviet labour camps by the Institute of National Remembrance. Moreover, she completed two workshops called „Academy of a Young Journalist” and „Explore common roots for not being rude“ (youth exchange with Ukraine) by the European House of Youth Meetings. Magdalena ist especially interested in the subject of migration.